The Hollywood film which tells the story of the mission to kill Osama bin Laden was encouraged by the Obama White House. The White House even allowed the filmmakers access to CIA personnel and information to make the film. 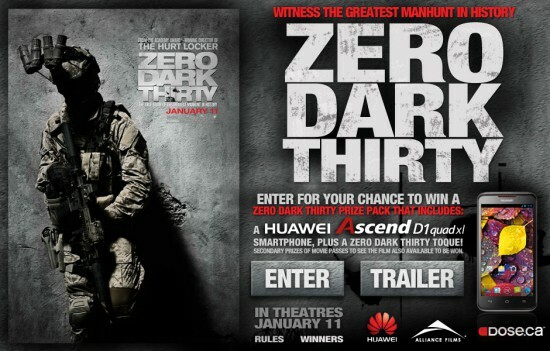 Zero Dark Thirty opens this weekend. Today the Obama Administration told a court they is not ready to release images taken after the al Qaeda leader’s death because they might lead to violence. Twenty months after U.S. special forces killed Osama bin Laden, the United States told a court on Thursday it is not ready to release images taken after the al Qaeda leader’s death because they still might lead to violence. A federal appeals court heard arguments in a lawsuit over whether the government must release the images under the Freedom of Information Act, a 1966 law that guarantees public access to some government records. President Barack Obama’s administration points to an exception in the law that covers documents classified in the interest of national defense. “They’ll be used to inflame tensions. They’ll be used to inspire retaliatory attacks,” Justice Department lawyer Robert Loeb told the U.S. Court of Appeals for the District of Columbia Circuit. Riots or other forms of violence could threaten American soldiers as well as civilians in Afghanistan, Loeb said. But the movie won’t inflame tensions? The double standard is comical.